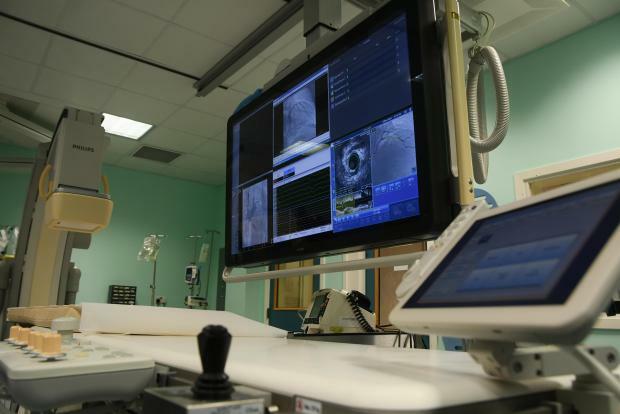 The Cardiac Catheterisation Suite received a €1 million upgrade to include all the latest technologies for invasive interventions in cardiac surgery. The €1 million upgrade will be paid by the National Development and Social Fund (NDSF), which is intended to finance projects of the public interest through money raised from the sale of passports. The Department of Cardiology made a request to the NDSF to fund the upgrade, cardiology department chair Robert Xuereb said. The suite is where all interventions on the coronary arteries, valves, electrical and heart structures are performed. Some 3,000 procedures are performed there every year, Dr Xuereb added. The upgraded technology will allow for a reduction of 60% in the radiation dose levels incurred during procedures. "This is very important because it dramatically decreases the complications of radiation exposure to the patient as well as Catheterisation Suite personnel," he said. Up to 16 imaging sources required during complex cardiac interventions can be connected and viewed on the monitor, Dr Xuereb said. Machines used in the suite had been present since 2008 and, while they were still functioning properly, many needed an upgrade to include all the latest technology, Dr Xuereb said. Speaking during a press conference at Mater Dei, Prime Minister Joseph Muscat said the government was scouting the world to find the best available and feasible technology. "I believe every government did the best it could in the health sector," Dr Muscat said. However, he noted, the budget for the health sector in 2012 had been €381 million, while the 2019 Budget announced an investment of €781 million for the health sector and the elderly. The government was ready to complete the investment in the catheterisation suite, but "I was happy to see the department here approached the NDSF," Dr Muscat added. He also stressed the importance of the mental health sector, adding there would be a mental health reform. Cabinet would be discussing a strategy on mental health, and a conference on the topic would also be held, Dr Muscat said. The funds from the International Investors Programme were being used to invest in the health of Maltese citizens, Health Minister Chris Fearne said. As medical students, we used to be taught the only way to cure a heart attack was through bed rest and prayer, but technology has now advanced greatly, he said. The government would also be investing in a third MRI, Mr Fearne noted, adding that 25 patients a month needed a cardiac MRI.